After 43 years, I realized that my refusal to garden and my near boycott of cooking have absolutely nothing to do with my gross inability to perform these tasks. It’s because I like to be efficiently productive, and neither of these chores fits my requirements. Basically, according to my calculations, Work Worthy of Me needs to fit the following formula: time spent working<time spent enjoying. Now, I think you can see where this is going. Now, the gardening thing is a bit trickier. Let’s take annuals first. First of all, this a dumb categorization. Annual means “once a year” – implying that it happens repeatedly. For example, I have to annually ask Cap’n Firepants if annuals are the ones that keep coming up or the ones you have to replant. So, let’s say you take an hour to plant some annuals that will last about three weeks. Technically, that would seem to fall nicely into my formula. But, here’s the problem. Of those three weeks, I will probably spend 1 minute/day noticing how pretty those annuals are. Hmm. So multiply by 21, carry the 3, subtract the 50, and – wow, that’s a whole 21 minutes I spent enjoying those flowers. Trigger big ole annoying buzzer sound here. Annuals – you’re outta here. Perennials don’t work either. It would take nearly 3 years of repeating themselves for three weeks a year to earn their Time Spent Enjoying Minutes. And nothing lives 3 years in our yard. Between armadillos, Texas droughts, and a bulldog named Wonderbutt who tramples anything in his path, cacti are about the only thing that are sturdy enough to withstand nature and the Firepants Family. And I do not enjoy cacti. So, there’s that. In conclusion, it is fortunate that I married Cap’n Firepants. Because he does not like math, and can both cook and garden. So, I should probably revise my formula a bit. 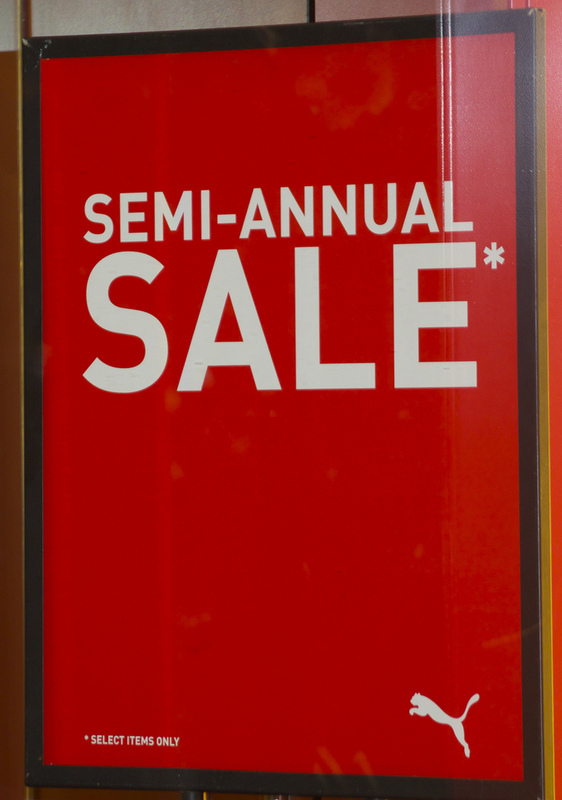 Shouldn’t it be “Semi-Perennial Sale”? I’m so confused.